We work with smart people. They have become successful for a reason, so they do not need someone to tell them what to do. Instead, we teach our clients what we know, sharing our knowledge and straightforward opinions to help them make smarter decisions to better increase their success. In other words, rather than being a know-it-all, Byrnes Consulting’s approach is to be a collaborate partner. There is a lot of wisdom in the old proverb about why we were given two ears but only one mouth. Too often we see consultants never shut up. If they are rambling on and on, they will not hear valuable information from their clients that allows for even better advice to be given. At Byrnes Consulting we pride ourselves on how we interact with clients, not just talking, to help deliver the best consulting engagements we can. No two clients are the same, so why should every client be taken through the same process? 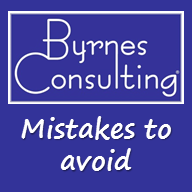 At Byrnes Consulting, we believe that it is crucial to get to know our clients first before we give advice. The better we know them, the better we can give them personalized advice. Some consultants are still taking the same approach they have always used. However, in a world that will continue to evolve at an ever increasing pace, all businesses need to be open to change. Our clients need a consulting firm that is open to innovation. We believe we can not only share what has worked in the past, but also have a vision for what will increase success in the future. Please contact us for more information on our consulting approach!